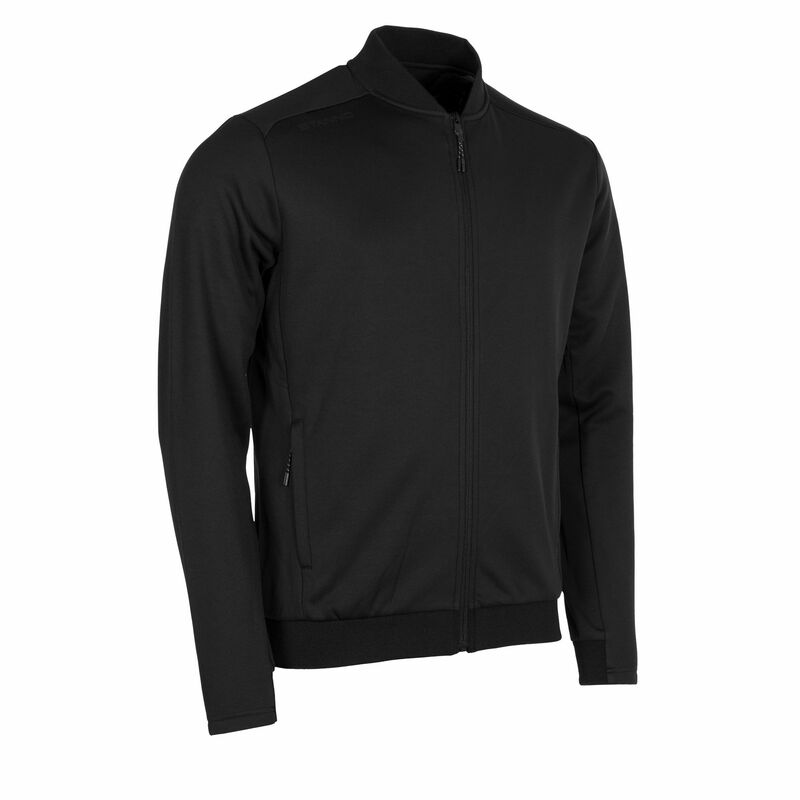 This sporty jacket from the Stanno Functionals collection has a nice fit and feels ultra soft thanks to the brushed inner. 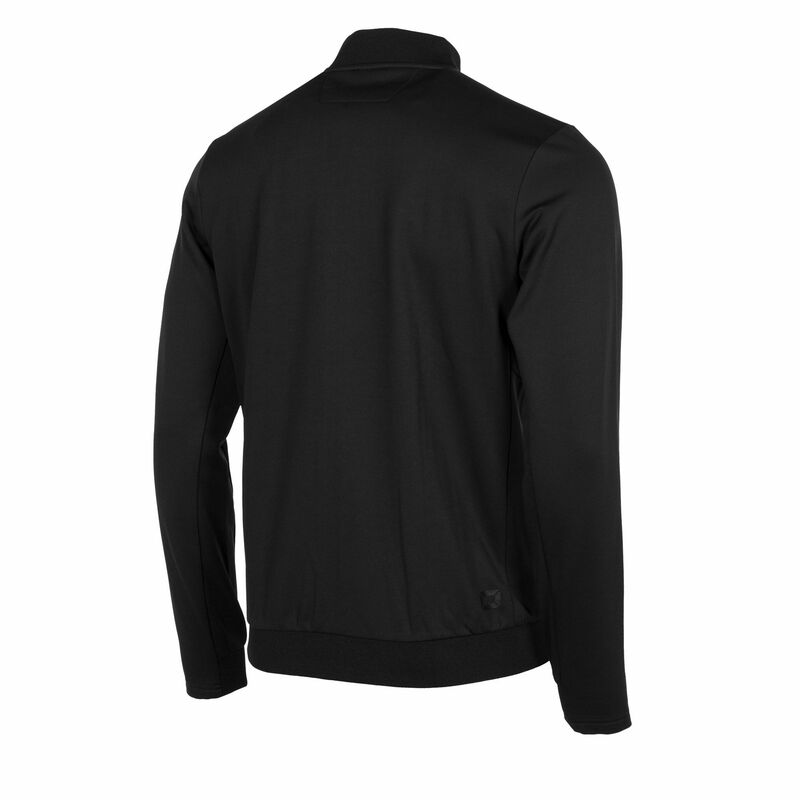 Completely in stylish black, with subtle tone-on-tone Stanno prints. 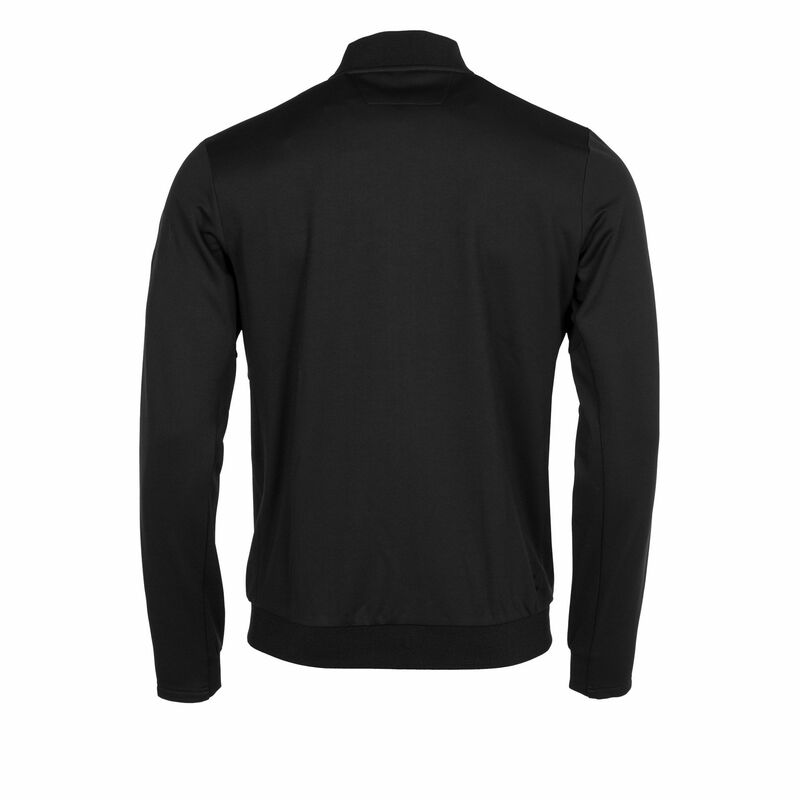 The collar, bottom and bottom of the sleeves are made of elastic rib material. 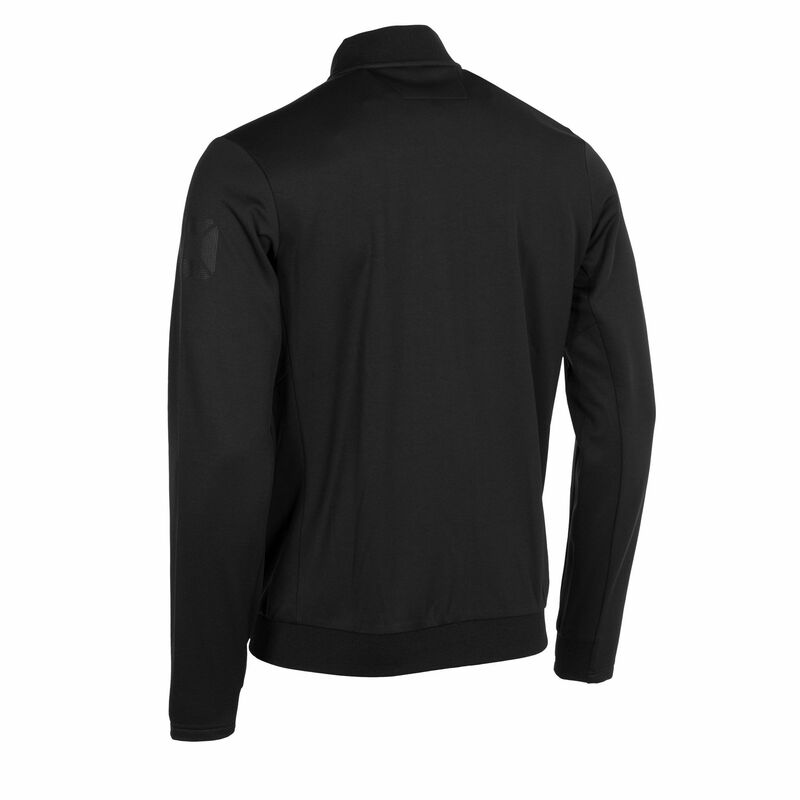 At the front the jacket contains two pockets with zip.